Beware of the graupel. That was the weather alert on my phone this past Saturday. It sounds ominous and medieval or so 18th century doesn't it? Hear ye, good sirs, beware the graupel. Right? This past Saturday was cold and dark and rainy. I was fearful of all the graupel headed our way, because we were planning on spending eight hours outside in all of it. 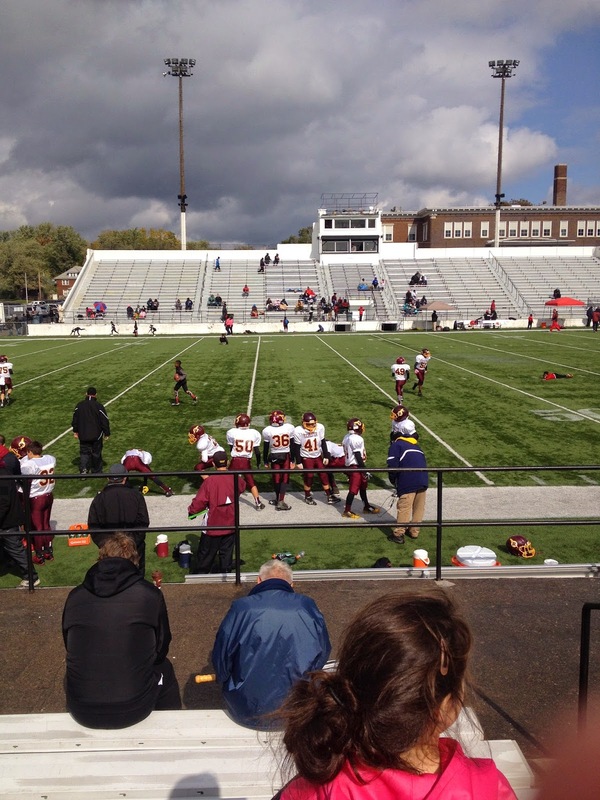 Because Saturdays mean football for our family and supporting each other, graupel or no graupel. I frantically searched for gloves and coats for the kids. Our glove drawer looks like all the sock drawers in our house....nothing matches. I found 20 left or right hand gloves, but not one match. 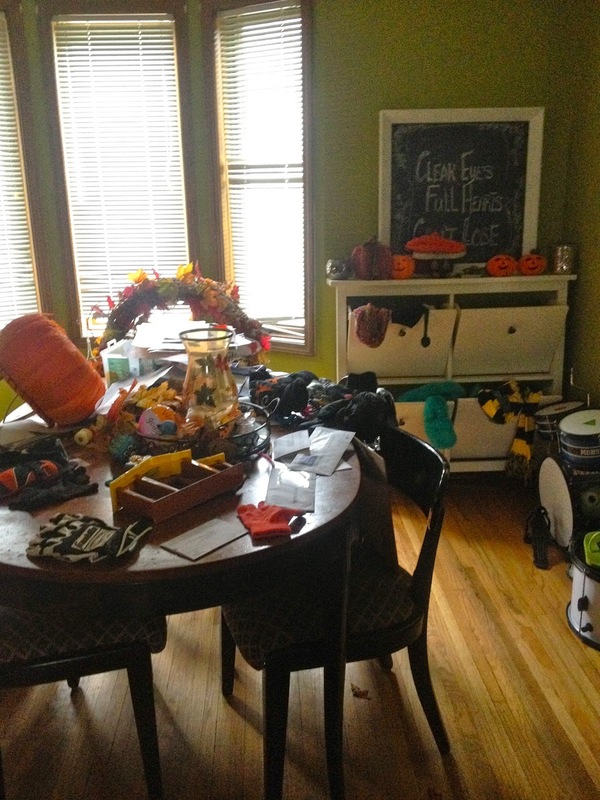 By the time we had to leave to not be late for the first of two football games, our house looked like someone had broken in and ransacked the place. We made it just in time for the kick off of JT's game and just in time to be miserable. Wade found his awesome mask. It was 39 degrees and it started to rain. Then the graupel came down hard. The 7- and 8-year-olds trying to play football in the mess were dropping the ball, crying and shivering. "Why are we here? !," Lucy shouted over the sound of the ice pellets hitting her umbrella. "Whyyyyyyy?" "To support each other, we show up, it's what we do!," I shouted back. When Lucy and Wade dropped the blankets in the puddle by our feet and Wade said he couldn't feel his fingers, I relented to going in the minivan to warm up. I hate missing my kids' stuff. I love that they know they have a cheering section, that they have their own people. People that have their back, witness their big play or big speech or big flop, people that yell their names in support, people that will agree "yeah they should have called that clip" and "what was up with number 67 on the other team?," people that take their side, people that love them no matter what, people that show up. So after a quick warm up in the minivan, we found less wet blankets and trudged through the puddles to watch the rest of the game. We got there just in time to see JT get hit hard and to hear the announcer say "injured player number 46 down on the field, JT Youngblood, hit hard by a player that gave him a hit like Ray Lewis, yeah it was a Ray Lewis hit." Just what a mother wants to hear about their son. "God dammit, why are we here?," I said out loud as I made my way to see if JT was okay. "Mom, because it's what we do, we are here for each other, right?," Lucy reminded me as she tried to keep up with me dodging more puddles. JT got up, made it to the side line where Tim and Peyton were waiting. They checked him out and sent him back out for the next play. Peyton turned to me and gave me a thumbs up. "He's okay mom, we made sure, he's okay," he reassured me, he knew I would be worried. In between JT's game and Peyton's game some of us quickly went home to throw our blankets in the dryer and get hot chocolate. Then we went back. 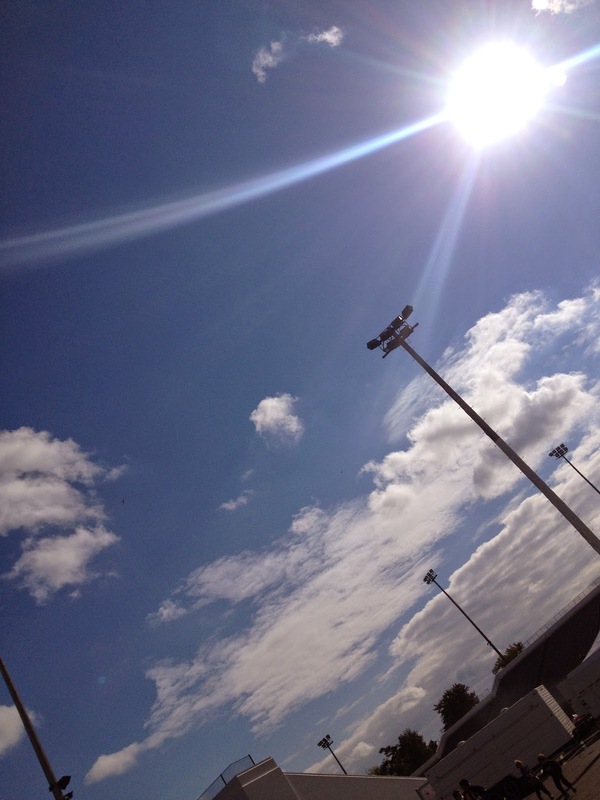 It was cold, but the rain had stopped and the sun actually came out. But even if it hadn't and the threat of graupel still loomed, we would have come back. We show up, it's what we do, graupel or no graupel. You are teaching your kids very important lessons by just being you. :) And is that Spider-Man you're hanging with? showing up is #2, only after love. Showing up - that is an important life lesson right there.